In a split second, Jenna Gray’s world turned upside down. In the wake of a horrible accident, the only hope Jenna has of moving on is to walk away from everything she knows and start anew. She drives to a remote cottage on the Welsh coast, but her memories and fears continue to haunt her. The flashbacks of that night remain ever present, no matter how far she takes herself off the grid. I Let You Go is a delicious thriller with more than one epic twist. One part murder mystery and one part romantic flirtation, this book will grab you from the first chapter and won’t let you go until the final words are uttered. 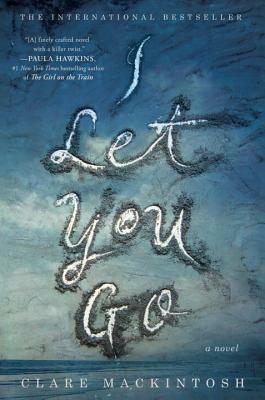 Told from the perspective of Jenna herself, as well as the lead detective on the murder case, I Let You Go brings to life a bittersweet story that will certainly tug at your heartstrings. It offers characters that are surprisingly flawed, real, and dare I say – relatable. It’s unlike most other thrillers in that way, which made me appreciate I Let You Go all the more. A quick read that will keep readers engaged from start to end, I Let You Go is a moving story of a woman who tried to run away from what she knew only to end up finding what she needed.